Everyone knows that Elizabeth I never married. Instead, she wielded her marriageability like a whip as part of her foreign policy for as long as she could. But were there other reasons she avoided making the commitment? THE PLOT: The book follows Weir’s first historical fiction about Elizabeth, The Lady Elizabeth, and picks up shortly after she becomes queen. Her advisors want her to marry and secure an heir, but Elizabeth is too busy flirting with Robert Dudley and handing him accolades. Robert is already married, but his wife is ailing. Maybe if Elizabeth puts off everyone who wants her to marry a foreign prince, she can have Robert for herself once Amy Dudley is dead. But does she really want him? Elizabeth was molested as a young girl by Thomas Seymour, and she’s skittish about physical love. She also has the past to influence her: her own mother and a stepmother executed by her father, who claimed to love them both at one time; and two stepmothers dead from childbearing. If Elizabeth chooses a husband, she may lose the power she has as queen to her husband, as husbands naturally hold dominion over their wives. If she bears a son, people may try to overthrow her in order to have a male on the throne. The book follows Elizabeth from her coronation, through her complicated affair with Dudley and other various suitors, through the years up to Dudley’s death. 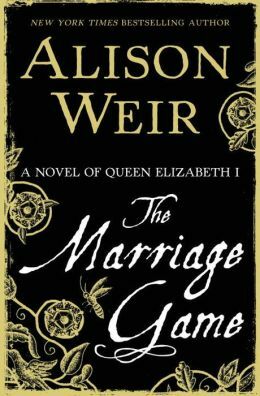 MY TWO CENTS: Reading about Elizabeth’s “marriage game” in nonfiction can get a little tedious, but Weir found a way to bring it to life in fiction by bringing Elizabeth’s emotions front and center. And this Elizabeth is extremely complicated by her (again, partly fictionalized) dealings with Thomas Seymour in Weir’s first book. While she longs for love (or, more accurately, adoration) from male admirers, she is completely unable to commit to any one man…physically or otherwise. One could argue that this Elizabeth is a bit weaker than she should be, since she comes across as being ruled by her emotions instead of her cleverness. What history might see as craftiness in staying in the marriage market as long as she did can be explained by Weir as nerves and changeability. BOTTOM LINE: Another successful fiction outing from Weir. 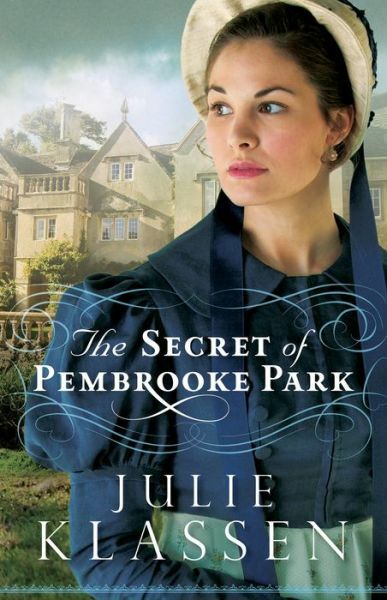 I don’t know if it’s as good as A Dangerous Inheritance, but she definitely adds dimension to Elizabeth’s story. TEACUP RATING: A solid four out of five teacups. ON SALE DATE: Will publish in hardcover and eformats in the USA on February 10, 2015. It’s already available in the UK. Note: Review is based on an ARC provided by the publisher via Edelweiss/Amazon Vine in exchange for an honest review. 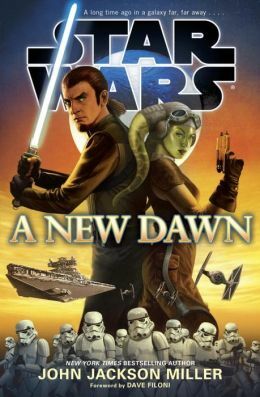 The subtitle for this book could be “When Kanan met Hera.” It’s a more adult introduction to the Star Wars: Rebels animated TV show. THE PLOT: Once upon a time, Kanan Jarrus was Caleb Dume, a Jedi in training. But then the Clones were given the order to eliminate the Jedi, and Kanan has been in hiding ever since, living a rootless life, getting into bar fights, and not using any Jedi abilities. His most recent home is the mining world of Gorse and its moon, Cynda. But then the Empire shows up in the form of Count Vidian, a cyborg with some interesting motives. Vidian receives word that the Emperor expects him to triple the quota of thorilide mined from Cynda. With the unwitting help of a conspiracy theorist named Skelly, who’s trying to prevent accidents, Vidian decides to blow up Cynda. This will get him the immediate thorilide he needs, eventually screw over his worst rival, and also kill a lot of people and destroy a world. Hera is there to gather info, but once she, Kanan, and Skelly meet and discover what Vidian is up to, they team up to stop him. MY TWO CENTS: I was looking forward to reading this since I liked the author’s Kenobi so much, but the mining story just didn’t have the same draw for me as the “old west” feel of Kenobi. This is definitely more adult than the show. Kanan joins Hera mostly because he’s attracted to her, which I’m really not getting in the show. There are also nondetailed descriptions of Kanan’s womanizing, drinking, and fighting. Zeb, Sabine, and Ezra don’t make an appearance. Although the reader knows that Kanan and Hera will survive this adventure, there are no guarantees for their other companions. I found that, and all the explosions, enough of a “danger hook” to keep the suspense level up. Vidian is an interesting villain, certainly more interesting to me than General Grievous. I’m not sure if we’ll see him again, but I hope we do. BOTTOM LINE: If you’re watching Rebels and want some background, this book will give you some. However, from the five episodes I’ve seen, reading this certainly isn’t necessary. Maybe I’ll feel differently as the show goes on. If they do more books about the Rebels cast, I would probably be interested in checking them out. ON SALE DATE: The book is available now in hardcover and eformats.